As avid planters and gardeners, we can come up with many reasons for health benefits of gardening and growing your own vegetables. It has given all of us tremendous benefits and it is one of the main reasons we want to share our knowledge with the world through this blog. Some of our planters find gardening and landscaping extremely relaxing while the main reason for others is to eat homegrown organic vegetables and fruits with as little risk of toxins possible knowing that it is home grown. Whatever your reason might be, you’re doing well for yourself and for the world by planting one seed at a time. Physical Health Improvements. Nothing is better for the body and mind than getting yourself outside and moving with some fresh air. 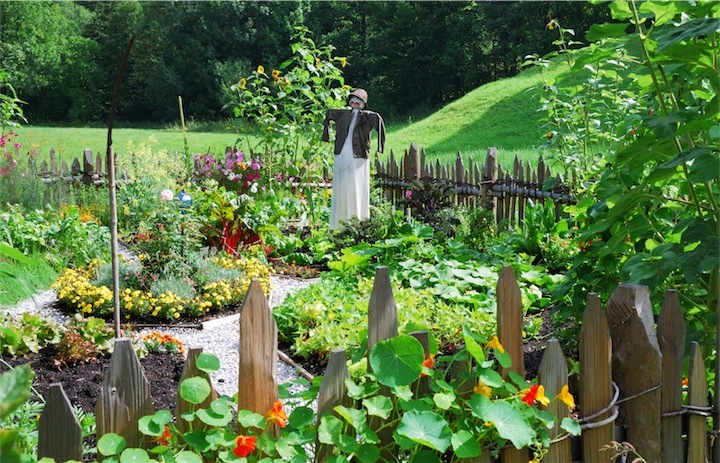 While working in your garden, you will be partaking in both anaerobic and aerobic exercises. You might not expect gardening would have any impact on your body, however, gardening is considered moderate- to high-intensity exercise. According to the Centers for Disease Control and Prevention, you can burn up to 330 calories during one hour of light gardening and landscaping work. Imagine the calories burning off when you are doing high-intensity work like mowing the lawn or cutting your trees down. This is more than lifting weights for the same amount of time! Mental Health Improvements. 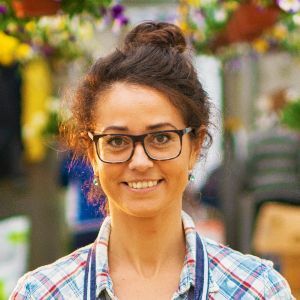 While it may sound a bit hippie-dippie, Anna Ranieri, PhD, suggests practicing mindfulness while you garden to lower stress. 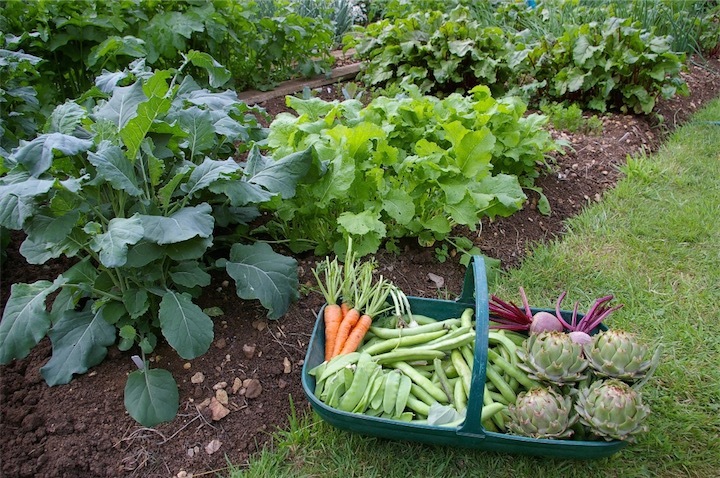 A study found that just 30 minutes a week spent planting outside on your vegetable patch can boost feelings of both self-esteem and mood by dissolving tension, depression, anger, and confusion. Not only that but being outside in the sun will you help to boost your vitamin D levels from the sunlight which helps the body absorb calcium. In turn, calcium helps keep your bones strong and your immune system healthy. Cheap, Healthy and Organic Food. Growing your own fruit and vegetables will not only let you experience better-tasting food but you will also save money on the prices one might pay at organic farmers markets or even the supermarkets. If you concentrate on growing crops that you enjoy eating and ones which are more cost effective to grow (like broccoli, tomatoes or lettuce) then you are likely to save money. All while being in control of what you put in your body, avoiding non-organic pesticides as much as possible. Because you are monitoring the process from A to Z you know your food is healthy and authentic. A Beautiful Garden to Enjoy. Being in control of your garden means you can not only grow your own plants but it also means you can be a part what comes into your garden like the birds, insects and animals. Growing the right garden plants can attract beautiful creatures, like butterflies or hummingbirds, to your garden for everybody to enjoy. Planting the right flowers in your garden or yard, will bring color to the garden all year long. In the winter if you use evergreen species such as Daphne, Buxus, Lavender, Fatsia, Camellia, and Euonymus, they are all easy to take care of and adds a beautiful touch. How special is it to be able to create your own wonderland, and mix it up whenever you like. A Better Place to Live. You contributing to creating a better flora and fauna helps the earth become a better place. We have to start now, and you starting in your own garden will make an impact. You will inspire others to do the same and it is important we start doing this sooner than later. We owe it to our kids and grandchildren to sustain the planet we live on with healthy organic plants and edibles. If you are not inspired enough yet to get started then make sure to watch this incredible story of Ron Finley. Ron Finley plants vegetable gardens in South Central LA — in abandoned lots, traffic medians, along the curbs. Why? For fun, for defiance, for beauty and to offer some alternative to fast food in a community where as he says: “the drive-thrus are killing more people than the drive-bys.” Now that’s a benefit of gardening! It is obviously clear there are many (health) benefits to gardening, landscaping, and being outside creating and growing. Even if it is for a couple minutes a day, it will improve physical and mental health. Do you garden? Why do you do it? Share your story with us.